Note: The Spanish constitution of 1978 mandated the creation of autonomous communities. They were implemented by statute, and created by stages from 1979 to 1983, each consisting of one or more provinces. Since 1995, Spain has consisted of 17 autonomous communities and 2 autonomous cities (ciudades autónomas) of Ceuta and Melilla. 27 May 1978 Junta of Andalucía created. 4 Aug 1982 Autonomous Community of Andalucía. 21 Dec 1936 Regional Council for the Defense of Aragón formed by the CNT. 10 Aug 1937 Council is dissolved by the Republican government. 9 Apr 1978 General Deputation (Diputación General) of Aragón. 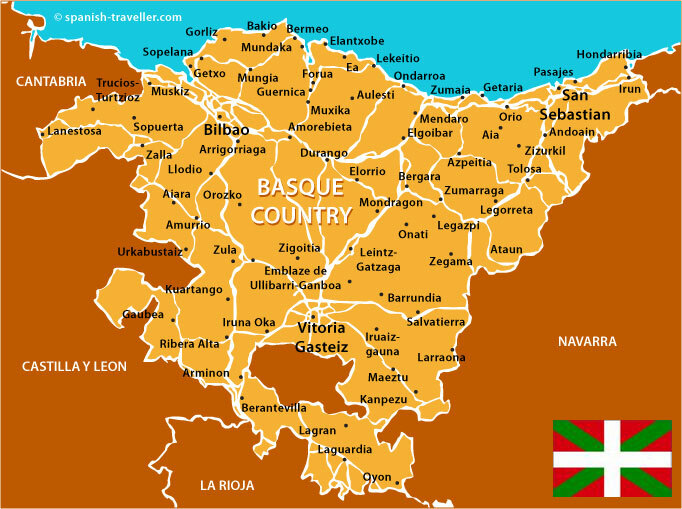 16 Aug 1982 Autonomous Community of Aragón. area around Gijón, Reinosa, and Santander. 20 Oct 1937 Autonomy ended with occupation of the region by Nationalist forces. 10 Oct 1978 Regional Council of Asturias created. 31 Jan 1982 Principality of Asturias (an autonomous community). (Menorca from 1232, Ibiza from 1235)(see under Spain). Aragón; Kingdom of Mallorca independent. 1286 Mallorca, Valencia, and Barcelona acquired by Aragón by force. 20 Jun 1295 Kingdom of Mallorca (restored), effective by treaty in 1298. 27 May 1343 Occupied by Aragón. 29 Mar 1344 Merged with Aragón. 1349 Montpellier is sold to the King of France by Jaume III. during the war of Spanish succession. Mallorca (from 1715) and Valencia. of Menorca (see under Spain). Franco; on 9 Feb 1939 Menorca surrenders to Nationalists. 24 Jul 1978 Interinsular General Council created. 1 Mar 1983 Autonomous Community of the Balearic Islands (Illes Baleares). 15 Mar 1982 Autonomous Community of Cantabria. 6 Jun 1983 Autonomous Communities of Castilla-La Mancha (Castille-La Mancha). 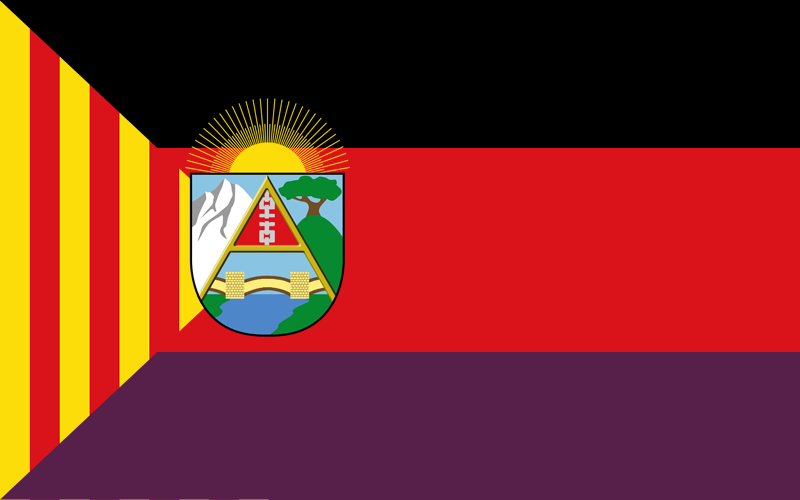 25 May 1983 Autonomous Community of Castilla y León (Castile and Leon). 415 Barcelona part of Visigothic kingdom. 719 - c.801 Muslim occupation. 18 Jun 1164 Count of Barcelona inherits the Kingdom of Aragón (see Aragón). of Corbeil (ratified 16 Jul 1258). 1359 Generalitat (autonomous government) established. Principatus Cathalonie comes into formal, but non-statutory use. 1367 - 1375 Generalitat suspended by the Corts of Vilafranca. 11 Aug 1462 Civil war in Catalonia erupts. 17 Oct 1472 Barcelona subdued. 19 Jan 1479 Castille and Aragón united (from 1556, Spanish monarchy). of the Pyrenees, but France retains Roussillon. as king by the Generalitat in opposition to Felipe V.
(including Catalonia from 16 Jan 1716) its institutions. 16 Sep 1714 Generalitat is abolished. 28 Feb 1808 - 1 Dec 1813 Occupied by France (in Barcelona to 28 May 1814). 8 Feb 1810 Napoléon annexes Catalonia to France. Montserrat, Sègre, and Ter (effective 2 Feb 1812). l'Èbre-Montserrat; Sègre and Ter merged into Sègre-Ter. 1 Dec 1813 Catalonia returned to Spain (Gerona retaken 10 Mar 1814). 20 Mar 1925 Mancomunitat dissolved by Spanish military government. 7 Oct 1934 Suspension of autonomy. 1 Mar 1936 Autonomy restored. 5 Apr 1938 Autonomy revoked by Franco's government. 29 Sep 1977 Generalitat restored. 22 Dec 1979 Autonomous Community of Catalonia. unconstitutional by Constitutional Court of Spain). which on 4 Nov 2014 was suspended by the Constitutional Court. declared illegal by the Constitutional Court on 17 Feb 2015). government vows to reject the verdict). declares the referendum unconstitutional on 17 Oct 2017). Declaration of the Representatives of Catalonia). Constitutional Court of Spain on 31 Oct 2017). Spain, who delegates his role to the Deputy Prime minister). ¹between 1936 and 1937 Josep Tarradellas i Joan (s.a.) carried out, by delegation of Companys, his executive functions. to the Val d'Arán (Aran Valley). 1411 Val d'Arán integrated with Aragón, with autonomy, by Generalitat. 1834 Local autonomy abrogated by Spain. briefly take control of several villages. Catalonia (by law of 13 Jul 1990; expanded 5 Feb 2015). by 84% Val d'Arán of voters in a limited 24% turn out..
534 - 612 Part the Eastern Roman (Byzantine) Empire. 612 - 709 Part of Visigoth kingdom. 709 - 931 Part of Umayyad (from 750, Abbasid) Caliphate. 931 - 1026 Part of Caliphate of Córdoba. 1026 - 1057 Part of Málaga Taifa state. 1057 - 1061 Part of Granada Taifa state. 1061 - 1084 Ceuta Taifa state, separated from Granada. 1084 - 1090 Part of Granada Taifa state. 1090 - 1147 Part of Almoravid Empire. 1148 - 1232 Part of Almohad Caliphate. 1232 - 1233 Part of Murcia Taifa state. 1233 - 1236 Ceuta a Taifa state, separated from Murcia. 1236 - 1242 Part of Almohad Caliphate. 1242 - 1249 Occupied by Hafsid kingdom. 1305 - 1309 Part of Emirate of Granada. 21 Jul 1309 - 1310 Occupied by Morocco (Fez) with the help of Aragón. 1310 - 1314 Retaken by Granada. 1314 - 1315 Re-occupied by Morocco. 1315 - 1327 Ceuta Taifa state, separated from Morocco. 1327 - 1384 Part of Morocco. 1384 - 1387 Occupied by Granada. 1387 - 21 Aug 1415 Part of Morocco. 2 Sep 1415 Ceuta a possession of Portugal. Alcáçovas (and again by Treaty of Tordesillas 7 Jun 1494). 18 Jul 1580 Ceuta, along with Portugal, becomes a Spanish possession. 1 Dec 1640 Ceuta remains Spanish possession after the independence of Portugal. 1 Jan 1668 Isla Perejil a Spanish possession. 1694 - 1724 Under siege by Morocco. 1725 - 1728 Under siege by Morocco. 1790 - 1791 Under siege by Morocco. the French occupation of Spain. name of Fernando VII, continues. (Capitanía General de las Posesiones de África). 30 Mar 1912 Recognized as Spanish possession by Morocco in the Treaty of Fez. 27 Nov 1912 Ceuta subordinated to commandáncia of Spanish Morocco (see Morocco). Republic, its autonomy is recognized. for Morocco until 10 Aug 1956). 17 Jul 1936 Ceuta taken over by the Nationalists. 7 Apr 1956 Ceuta a presidio of Spain (part of Cádiz province). Mar 1983 Moroccan blockade of Ceuta (and Melilla). 15 Mar 1995 Autonomous City of Ceuta (Ciudad de Ceuta). Territorial Dispute: Ceuta and Isla Perejil are claimed by Morocco. 5 Mar 1983 Autonomous Community of Extremadura. 16 Mar 1978 Junta (Xunta) of Galicia created. 19 Jun 1982 Autonomous Community of La Rioja. 534 - 614 Part the Eastern Roman (Byzantine) Empire. 614 - 700 Part of Visigoth kingdom. 700 - 789 Part of Umayyad (from 750, Abbasid) Caliphate. 789 - 922 Part of Fez (Morocco) under Idrisid dynasty. 859 Melilla is sacked by the Normans. 922 - 926 Occupied by Fatimid Caliphate. 926 - 1030 Part of Caliphate of Córdoba. 1030 - 1080 Kingdom (Taifa) of Melilla, independent of Córdoba. 1063 - 1064 Occupied by Málaga (Taifa) kingdom. 1080 - 1141 Part of Almoravid Empire. 1141 - 1272 Part of Almohad Caliphate. 1272 - 1465 Part of Banu Marin (Benimerin Empire). Juan Alonso Pérez de Guzmán, duque de Medina Sidonia). 1506 - 1533 Cazaza part of Melilla. 23 Jul 1508 Peñón de Vélez de la Gomera a Spanish possession (under Melilla). 18 Sep 1509 By Treaty of Sintra Castillian possesion recognized by Portugal. 1 Oct 1540 Isla de Alborán a Spanish possession (under Almeria). 7 Jun 1556 Melilla a Spanish crown possession (under the Council of Castile). 28 Aug 1673 Peñón de Alhucemas a Spanish possession (under Melilla). 17 Aug 1715 - 11 Feb 1716 Under siege by Morocco. 9 Dec 1774 - 19 Mar 1775 Under siege by Morocco. 21 Dec 1838 - 26 Mar 1839 Carlists in Melilla revolt and form a royal government for Carlos V.
20 Jul 1847 Islas Chafarinas a Spanish possession. 18 Dec 1847 - 27 Nov 1912 Part of Spanish Captaincy-general of North Africa (see Ceuta). Oct 1893 Creation of commandáncia general of Melilla. 27 Nov 1912 Melilla subordinated to commandáncia of Spanish Morocco (Morocco). for Morocco until 10 Aug 1956)(see under Ceuta). 17 Jul 1936 Melilla taken over by the Nationalists. 7 Apr 1956 Melilla a presidio of Spain (part of Málaga province). Mar 1983 Moroccan blockade of Melilla (and Ceuta). 15 Mar 1995 Autonomous City of Melilla (Ciudad de Melilla). Territorial Dispute: Melilla, Peñón de Vélez de la Gomera, Peñón de Alhucemas, Isla de Alborán, and Islas Chafarinas are claimed by Morocco. 23 Jul 1580 Peñón de Vélez de la Gomera island a Spanish possession. 20 Dec 1522 - 8 Sep 1564 Moroccan (Berber pirate) occupation. 8 Sep 1564 Spanish rule restored. into a peninsula connected to the Moroccan Coast. 15 Jul 1982 Region of Murcia (Región de Murcia)(an autonomous community). 19 Apr 1979 Free Diputación of Navarre (Diputación Foral de Navarra). 16 Aug 1982 Free Community of Navarre (Comunidad Foral de Navarra). 19 Jun 1937 Bilbao occupied by the Nationalists. 23 Aug 1937 Autonomy ended with conquest of the region by Franco's army. it is canceled by the Constitutional Court of Spain. suspended by the Constitutional Court of Spain). 10 Apr 1978 Council of the Valencian Country (Consell del País Valencià). 10 Jul 1982 Valencian Community (Comunitat Valenciana).